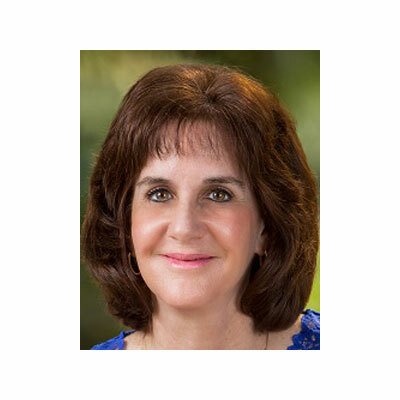 Kathy has more than 35 years of consulting and private industry experience, including IT strategy and business process management, software development, systems implementation and quality assurance. In addition to Tribridge and Concerto, Kathy has held executive positions at leading global technology and consulting companies KPMG, IBM and Metastorm/CommerceQuest. Some of her clients have included Federal Express, Carnival Cruise Lines and Home Depot. A fierce advocate of proper data security and compliance processes, she spends much of her time educating customers, partners and other business leaders on how breaches impact the boardroom and the protections needed in cloud and managed service agreements. Having served as the chairperson of the Tribridge Women's Network, Kathy is also passionate about creating programs that recruit, retain and develop women leaders. I work on the delivery process to ensure that, through the Governance Risk and Compliance (GRC) office, all of the necessary components, standards and regulations are addressed and met during the onboarding process, and on an ongoing basis. As Concerto expands into new markets and geographies, especially given our recent acquisition by DXC Technology, I spearhead the effort to ensure all necessary components are met, including HIPAA, PCI and the looming GDPR deadline. My team is also focused on establishing more training and quality and assurance processes for onboarding internal resources, so that employees are knowledgeable about the most current policies and procedures. This is something I believe is critical for delivering exceptional customer service. Another key initiative for us over the past year was establishing the Concerto Portal, a self-help tool for our customers and partners. The portal's automation provides customers with the ability to enable their own environment. The development and enhancement of the portal is the result of feedback our organization has received from our advisory council (Tribridge and Concerto have advisory councils for both partners and customers). Providing self-service and giving customers more ownership of their environment is a growing expectation we see evolving in 2018. • Make the Concerto Portal more robust, which will provide clients with more control to enable their environments for whatever will help their organizations function more effectively and efficiently. • Continuous process improvement. We're always reviewing and exploring business processing improvement at Concerto; it's part of our culture. We do this by analyzing the root cause of problems or any other issues we face. It's a commitment to maintaining excellence. • Continue to be a leader in compliance, especially as Concerto further integrates with DXC and expands its footprint into new countries. I have been acknowledged at several events, as the Chairperson of the Tribridge Women's Network. This has included WITI, and Tampa Bay Boys & Girls Club. I have also been the recipient of many leadership awards in the past. These have included a KPMG MVP Partner Award, a "Woman of the Year" award from YMCA, a FedEx Partner appreciation award and an IBM Regional Manager Award for Excellence. Linda Rebrovick is a someone who I admire for her knowledge, commitment and energy toward business and the technology industry. Linda and I worked together at both IBM and KPMG, and she later joined the Tribridge Board. Linda is confident and not afraid to tackle new challenges. She recently ran for Mayor of Nashville which I found very impressive. Lending my technology and cloud expertise to board positions is one of my goals this year. Linda is someone to whom I've sought advice related to my personal board pursuits and from a business perspective because I fully trust her guidance. During my teenage years and, like so many young people, I lacked confidence in myself. If I could give my younger self advice it would be to take more chances, ask more questions and get more involved in networking with crowds. During my college years, I gained the confidence that I needed by participating in leadership positions in several organizations that helped me as I progressed in my career, especially when being immersed in extensive travel and male-dominated environments. I've served in a lot of different roles throughout my career. Today, most of what I do is focused on customer negotiations or tailoring security solutions for our clients and partners. What I am most passionate about is being on-site with customers and seeing firsthand how what we're doing is helping their business. I would love to be involved in the entire customer journey, so I can ultimately experience the innovation we're enabling. I'm a voracious reader, mostly for pleasure to keep my mind off of work. Before my husband and I left for a trip to China last year, I read Falling Leaves, a memoir about an unwanted Chinese daughter written by Adeline Yen Mah. It was an uplifting book and I enjoyed it because it painted a picture in my mind of China's old-world culture that I reflected on during our travel experience.